“For a long time, the state model of Uzbekistan has been characterized by informal relations running the show and formal relations remaining fictitious. It is in this environment that different political interest groups within the country begin to belabor the topic of the head of government change. According to some, government does not meet the current new realities of Uzbekistan”, – stresses political scientist Rafael Sattarov in original CABAR.asia article. Indeed, despite the fact that Prime Minister Abdulla Aripov is among President’s top picks, there are several reasons for substituting him with another political figure. This prospect is not as much about resolving the country’s socio-economic problems, as it is about improving the image of the Prime Minister in the international arena, which is far from being perfect. The position of the Head of the Cabinet is ambiguous in Uzbekistan. On the one hand, it is second by its importance and allows for the extensive influence on the executive branch. On the other hand, the powers of the Prime Minister do not go beyond the sphere of agriculture (and general economic management sphere). In fact, Prime Minister is feared only by a few ministers and hokims (governors) of regions and districts. Even the Finance Minister has long been personally accountable to the President, not the Prime Minister, as it should be according to the hierarchical status of the position. 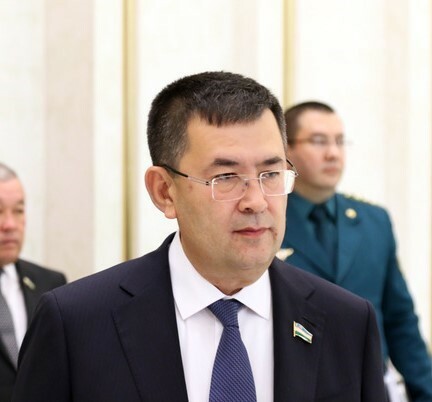 When it became clear that Shavkat Mirziyoyev had appointed Abdulla Aripov as the head of government, many, both within the country and abroad, were surprised by such a leadership reshuffle, as it was believed Rustam Azimov, the Minister of Finance during Islam Karimov (the first President of Uzbekistan), would be appointed Prime Minister. What could be the reasons for Abdulla Aripov’s substitution? According to some sources close to the government, Aripov’s figure was not too consistent with the new course of the President due to his tainted (or even “toxic”) reputation in the West. The reason for this is serious: Aripov appeared in many anti-corruption investigations by the Western countries related to the activities of the Swedish company TeliaSonnera (TeliaCompany). During the last court hearings, Prime Minister Aripov was required to testify as a former official responsible for the telecommunications sector. Allegedly, he was involved in the fraudulent activities of Islam Karimov’s daughter, when she took bribes from the said company for entrance to Uzbek market. Thus, Hans Stanberg believes Aripov is one of the most important case figures. Steinberg is a lawyer of Uli Tuima, former Chief Advisor of Telia Eurasian Division accused of bribing Karimova with about $350 million for advancements on the market of the Republic of Uzbekistan. The longer judicial investigations continue in the West, the more questions Prime Minister (and, therefore, President) will have to answer. As long as the terms of the return of Gulnara Karimova’s money to Uzbekistan are under negotiation, the public will continue to constantly question the legitimacy of returning money to the government headed by a man associated with this disgraced daughter of the former head of the country. It is clear that the importance Aripov’s position and his connection with the case of Gulnara Karimova hardly meet the interest of the President to liberalize the country’s economy. 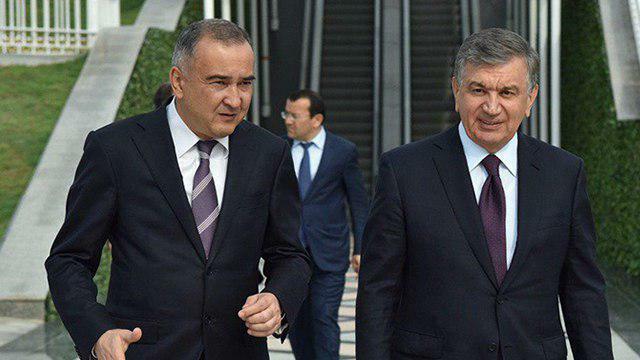 Relying on lobbyists, by fits and starts, the current head of Uzbekistan succeeded in returning high-ranking officials to the group of “handshakeable” freeing everyone from the “Andijan syndrome”. He obviously does not want to become isolated because of the current Prime Minister, whose name will now always accompany the questionable Karimova’s affairs. The need to appoint a more progressive and reformist Prime Minister without a corrupt past may gain momentum due to the current crisis in the country’s economy. Moreover, the middle-level officials and businessmen of Uzbekistan constantly stress that the country needs a Prime Minister advocating for the market economy. So, will Uzbekistan get a new head of government before the end of this year? The opinion leaders and officials close to the Presidential Administration I surveyed agree the change of the Prime Minister may occur before the end of this year. The incumbent hokim of Tashkent Jahongir Artykhojaev is thought to be one of the contenders for this senior position. He still uses ‘acting’ in his position title despite having proved his efficiency to his superiors long ago. He was even entrusted to work on an important image-building and investment project – Tashkent City. At the same time, Artykhojaev was quickly promoted first to become a member of Tashkent City Kengash (Council – ed. ), and recently to join Oliy Majlis Senate (Parliament upper house). In authoritarian environment of Uzbekistan, such “promotions” for deputies and senators usually originate “from above”. Given that according to the Constitution, the candidacy of the Prime Minister is suggested by a political party with a majority in the legislative chamber, it is possible that this is a preparation for a formal procedure for appointment to the Prime Minister’s office. It may happen for the first time in Uzbekistan’s history that a person from the very Parliament is appointed the Head of the Cabinet. For an international community, the scenario may be presented as follows: the Parliament of Uzbekistan announces a vote of no confidence in Prime Minister, he resigns, the Members of the Parliament are offered the candidacy of a new Prime Minister from their own ranks, and the procedure for appointing a new Prime Minister is held in compliance with all the formalities of the Constitution. This is the option of the first candidate, but there are more to think of. Erkinjon Turdimov, the current hokim of Samarkand is considered to be another candidate for this position. He proved himself a competent manager in various positions in the economic sphere, including in a capacity of a manager of Navoi and Surxondaryo regions. Most importantly, his image is all right: the President spoke of him well many times and urged other hokims to follow Turdimov’s example. Moreover, many residents of Surkhandarya say his popularity in this region is real. While there may be many more candidates, these are the most likely to be appointed. Two years after Shavkat Mirziyoyev came to power, two parallel political tracks became visible in Uzbekistan. The first is strengthening of the regional cooperation with neighboring countries and restoring Tashkent’s pragmatic and flexible approaches to Tajikistan and Kyrgyzstan. The second track is a prolonged uncertainty in the country’s domestic political life: many announced reforms end up stalled or left unattended. For example, the Uzbek economist Yuliy Yusupov notes that while the liberalization of the foreign exchange market is the most important government’s economic achievement, many decisions in the agrarian reform tend to increase the administrative pressure on farmers. Moreover, despite the authorities have adopted the Concept of Administrative Reform, there is still no action plan for its implementation, and many good intentions are just ink on paper. The desire of the President to reform and put in order some areas of the socio-economic life is evident. But it is very difficult to grasp what kind of reforms he needs right now. Does he need comprehensive institutional reforms or purely economic ones? 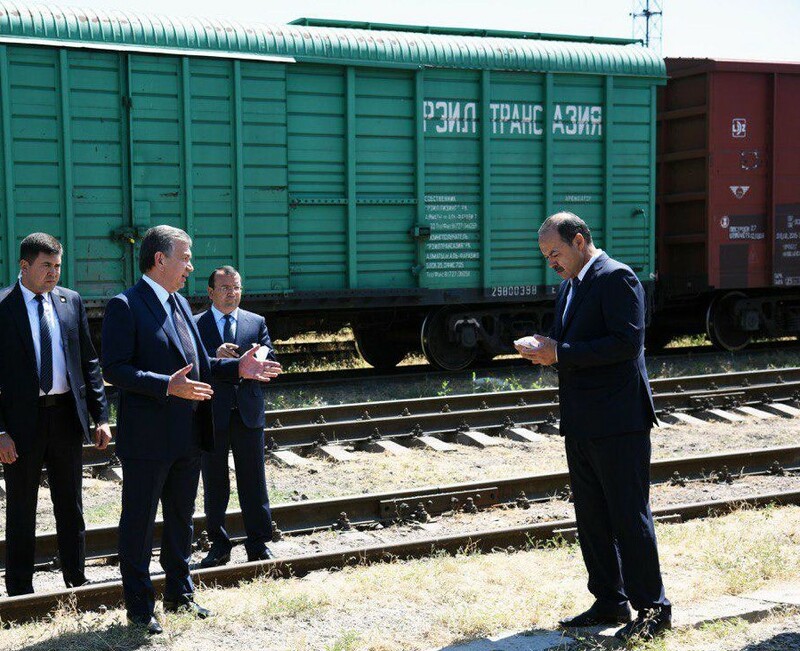 Observing how he interacts with the officials and what tasks he gives to his subordinates, one cannot help but realize Mirziyoyev needs experienced managers who are able to bring a district/region/plant/farm to the fore and catch up and surpass high indicators. In turn, there is only an imitation of reforms on the state and local levels: everyone tries to seem a modernizer and reformer. However, neither the President nor the government tries to change society, promote the principle of inviolability of private property or destroy the neo-feudal model of governance based on marriage and family ties. However, the President continues to argue the country needs systemic reforms, increased productivity, increased product competitiveness, stabilization and economy restructuring. However, no goal seems to be achieved. The surveyed experts close to Presidential Administration and the government note that today the republic needs a technocratic government, that is, a convinced supporter of market economy should lead the government. They agree that the perfect option is to appoint the Head of the Government someone who has already proven himself in the management of a private company, someone who knows the peculiarities of the market not by hearsay, but by experience. The Head of the Cabinet can be criticized for many things, but it should be noted for the sake of objectivity that not all criticism is fair. It should be understood that the Prime Minister of Uzbekistan does not form a government, as it is done in parliamentary republics, and does not appoint/dismiss ministers. Many ministers are appointed by the President. This means the government in Uzbekistan is not independent. It does not decide on anything, as it is engaged only in the implementation of the President’s decisions. The situation in the country will not be changed just because of the substitution of the Prime Minister: the President remains being the real head of the government tasking the Head of the Cabinet with implementation of his agenda on lower levels. What will be the fate of reforms in these circumstances? Being a fan of Arnold Toynbee, I would like to note that the most realistic midterm scenario comprises certain initial efficiency of President’s reformist fervor application followed by the fatal rigidity and ultimate crisis. 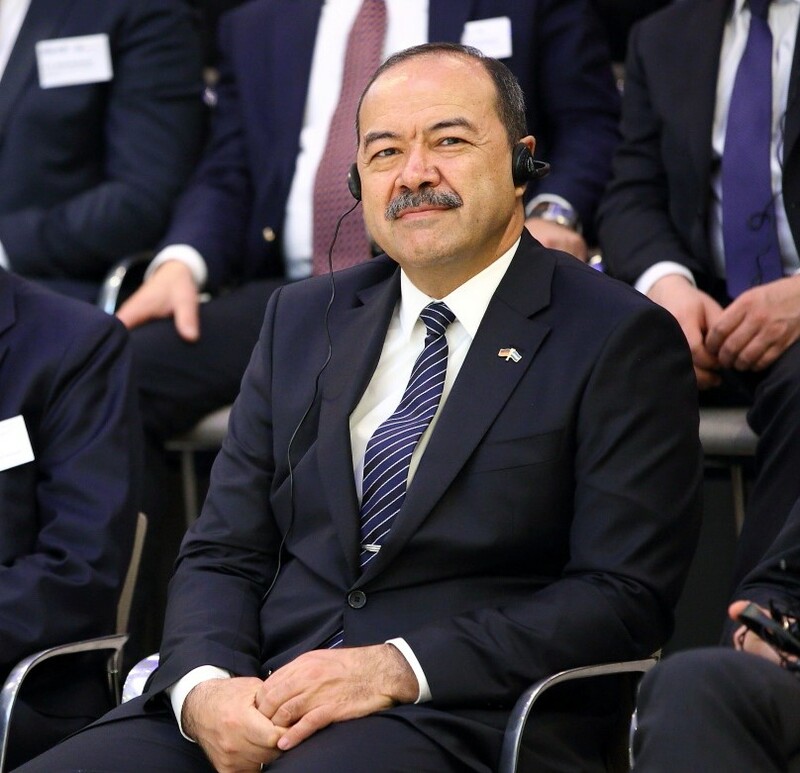 Is the Uzbek Development Model a Path Towards True Modernization?